China's TV censor has banned a municipal TV channel for one month after one of its programs supposedly misrepresented events, magnified family conflict, and depicted disrespect toward an elderly parent. The State Administration of Radio, Film and Television (SARFT) said in a circular that the movie channel of Shijiazhuang TV in north Hebei province had magnified distorted ethics and moral values and caused extremely negative social effects. 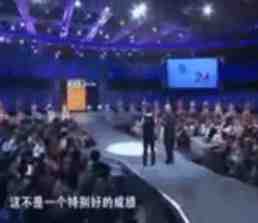 On June 29, the channel aired the 36-minute talk show Emotional Codes , which purported to depict real-life scenes among a husband, his wife and the man's elderly father. During the segment, the son treated his father disrespectfully, at one point berating him and threatening to take him to court over money. But in fact, the entire scene was scripted, with all three participants paid for their performances by the show's producer. The SARFT held Shijiazhuang TV responsible for failing to screen its programs ,misleading the public, and tainting the image of radio and TV in its reckless pursuit of ratings. The channel won't be permitted to resume programming until October 17, and then only if it obtains consent from the SARFT. Super Girl, a Chinese TV talent show along the lines of Pop Idol , will not return to the screen in 2012 despite phenomenal ratings and popularity. China Daily reports that the State Administration of Radio, Film and Television (SARFT) claimed that the show violated a cap on screen time. The premiere in July lasted 182 minutes, while SARFT caps shows at 90. Instead, the channel will air programs that promote moral ethics and public safety and provide practical information for housework, Li Hao, spokesperson for the channel, told China Daily. The 2005 season finale was watched by 400 million. It is also claimed that public votes cast throughout the last season totaled 1.2 billion. Matchmaking shows like If You Are The One , have enjoyed immense TV success in China. The show features a jury of 24 single women who decide on whether one hopeful man is an eligible bachelor. But the TV censors at the State Administration of Radio Film and Television (SARFT) are increasingly imposing ever more restrictions. The administration has recently banned fake participants who seek publicity, hosts being morally provocative , and sexual references in all entertainment shows. 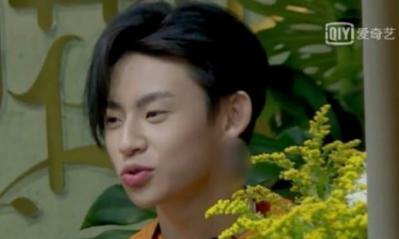 Wang Gang, the producer of If You Are The One , said he has to be careful, given all the new rules. Since the regulations, the show has been decidedly watered down, much to the disappointment of some viewers. China will replace popular television entertainment with so-called healthy programming, state media have reported, reflecting regulators' latest move to tighten media control. The move by the State Administration of Radio Film and Television (SARFT) comes days after senior Communist Party leaders said cultural reforms were needed to balance the nation's increasingly speedy adoption of a market economy. It also follows a SARFT edict last month forcing hit talent show Super Girl off the air after a six-year run. Under the order, SARFT said the nation's leading 34 satellite broadcasters would be barred next year from airing excessive entertainment and forced to show at least two hours of news each evening, the official Xinhua news agency said. Each channel will have a limit of 90 minutes of 'entertainment' programming during prime time between 7:30pm and 10pm. 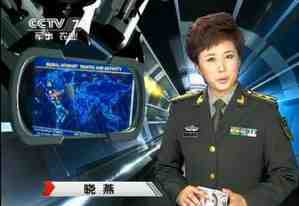 In September, SARFT posted a related directive offering Advice on Strengthening Management of Satellite TV Channels . In this broadcasters would be encouraged to air programs promoting harmony, health and mainstream culture . Chinese broadcasters will be banned from airing commercial breaks during TV dramas from Jan. 1 or face being suspended, the country's TV censor has proclaimed. The ban follows a State Administration of Radio, Film and Television (SARFT) directive in October warning the nation's main 34 satellite broadcasters that they would be barred from showing excessive entertainment and must air at least two hours of news propaganda nightly, the official Xinhua news agency reported. Radio and television are the mouthpiece of the party and the people. Broadcasters that still air commercials during TV series will be ordered to suspend commercial operations. Broadcasters must cancel television commercials during TV series as an important measure to construct a cultural service system. This policy is draconian. Consumers won't really be angry because no one likes commercials. But they will not be happy when content becomes even more watered-down than it already is. No doubt good for internet and DVD though. Satellite broadcasters in China have cut entertainment TV by two-thirds following a government campaign, state news agency Xinhua has reported. An order by the State Administration of Radio, Film and Television (SARFT) to curb excessive entertainment came into effect on 1 January. The number of entertainment shows aired during prime time each week has dropped to 38 from 126, said the censor. The order, which was issued in October 2011, limits each of the country's 34 satellite channels to two entertainment programmes each week and a maximum of 90 minutes of entertainment content every day from 19:30 to 22:00. Broadcasters are also required to air at least two hours of news programming between 06:00 and midnight. They must each broadcast at least two 30-minute news programmes between 18:00 and 23:30. Satellite channels have started to broadcast programmes that promote traditional virtues and socialist core values, SARFT said in a statement. Talent shows and reality TV are among the biggest casualties of the cuts. The list of restricted programmes also included talk shows and emotional stories that were deemed to be of low taste , said the Xinhua news report. However the SARFT statement also said that popular dating shows and soap operas will still be on air during prime time on weekends. China's TV censor has announced that foreign TV shows will no longer be aired during prime time, state media report. The State Administration of Radio, Film and Television (SARFT) says these shows cannot be aired from 19:30 to 22:00. The series also cannot run longer than 50 episodes and should comprise no more than 25% of programming each day . Local TV channels are also not allowed to show too many shows from one particular region, the censor says, without explaining further. Foreign shows also have to be approved before they are aired and cannot have violent or vulgar content. Stations that violate the new rules face severe punishments , the newspaper reports. China's TV censor has introduced a raft of new restrictions for broadcasters which ban remakes and adaptations from online games, and cut back on humor and family spats in TV series. The six guidelines issued by the State Administration of Radio, Film and Television (SARFT) also require less violence, organized crime and low taste, and that TV series dealing with the Communist Revolution clearly distinguish between friend and foe, local media reported. Serials adapted from online novels are also not encouraged. Foreign series are not allowed at peak viewing times between 7 pm and 10 pm, and cannot account for more than 25% of daily schedules. No foreign TV shows with over 50 episodes are allowed. The new restrictions became effective a few days ago. Two weeks ago, the folks over at SARFT announced a ban on six aspects of television drama, including banning shows adapted from web novels and web games. Or at least, we thought they did. Now SARFT say that story is false. SARFT's vice bureau chief in charge of TV drama Wang Weiping said: It is impossible that the head office would come out with a ban like this. However it's weird that the bureau waited so long to deny these reports. In fact, when the story was first breaking, an official representative from SARFT spoke to the Beijing News and answered at least one question quite cryptically but apparently did not deny that the report itself was accurate. So it seems there has been a change of mind. 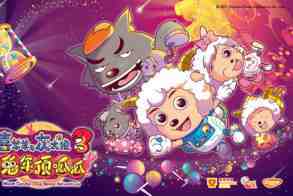 Chinese cartoon Pleasant Goat and the Big Big Wolf has kicked off another round of ever more repressive censorship. China's State Administration of Press, Publication, Radio, Film and Television called out the popular cartoon , which made headlines earlier this year for episodes containing supposedly violent scenes, and the regulator said in a statement that it plans to outline new content standards for TV animation to address violent programming content. Industry insiders have disclosed some of the hidden censorship rules that restrict TV dramas and movies in China. Taboo topics involving ghosts and home-wreckers are avoided in accordance to China's film censorship system, a recent NetEase report has revealed . China's administrative provisions on TV content restrict dramas from publicizing heresy or superstition [ie religion], a policy that industries have long struggled with, as stories involving spirits and immortals are deeply embedded in Chinese myths. Another rule forbids plot lines that threaten social morality, for example, people who break up marriages in TV shows must never be glorified and should always end up in misery. TV shows with plots involving children born out of wedlock are not allowed, as China's family planning policy looks down on the idea of illegitimate children. Young love and campus violence is also a big no-no, as such topics are believed to have an impact on the psychological health of minors, according to the report. Censors in China have banned online video sites from showing popular American TV shows as repressive censorship rules are extended to streaming services. The Big Bang Theory, The Good Wife, NCIS and The Practice have all been removed from sites including Youku.com and letv.com. A spokeswoman for Youku said that the State Administration of Press, Publication, Radio, Film and Television (SAPPRFT) did not give a reason for the censorship. Broadcasters in China have had repressive rules about showing Western content, but until recently the rules were not as strict for online streaming sites. China's State Administration of Press, Publication, Radio, Film and Television (SAPPRFT) have issued new censorship rules governing the use of language in China's television shows and advertisements. The new rules require all TV shows and ads to stick to standard Mandarin words and expressions, and forbid them from using internet slang terms. The new regulations are aimed at stopping the use of internet slang that appropriates or imitates standard colloquial expressions, and particularly the Chinese language's four-character chengyu sayings. The internet has invented or adapted many new chengyu for its own uses, but SAPPRFT's new regulations ban the use of any of that creative language on television. The regulations order China's television content producers to do a thorough self-investigation and to strengthen oversight and inspection efforts to assure that non-standard language and internet slang doesn't sneak its way into any future television programs. And before you thinks this is another example of imaginative censorship peculiar to a repressive regimes, I seem to remember a more or less the same edict being issued in France not so long ago, whingeing that English language modern world jargon had become more popular than the French language equivalents. There's been a bit of an online backlash in China over censors cutting all cleavage from scenes in a popular TV drama about China's only female emperor. The drama, The Empress of China , also known as the Saga of Wu Zetian was pulled from the schedules of commercial satellite station Hunan TV for technical reasons late last month, Xinhua reported. When it returned a few days later, the show, starring the famous Chinese actress Fan Bingbing in the title role of Wu Zetian had been conspicuously edited. Scenes of female characters, with cleavage showing dressed in period costume, had been cropped out, leaving only close-ups of their heads. The reality is that censorship exists in many countries and it is unlikely to be reversed in China. Changes to The Empress of China sparked fury among mainland internet users, who argued that censors had gone too far. An online survey released by the Sina Weibo microblogging service on Monday found that nearly 95% of respondents disapproved of the censorship of The Empress of China. Some mainland bloggers, who renamed the drama The Saga of Wu's Squeezed Breasts , mocked the decision by censors. They circulated a series of edited pictures on social media, showing people how to highlight the head and hide the breasts when it comes to other characters. While the censorship was largely done out of moral concerns, the resulting public outcry should serve as a warning for the future. While it is powerful, censorship lacks authority. In this sense, when using censorship, more considerations should be given to public opinion to garner support and avoid similar incidents. The country's TV censor, the State Administration of Press, Publication, Radio, Film and Television of the People's Republic of China (SAPPRFT), has banned actors with tattoos and programmes featuring hip hop culture and anything else considered non-mainstream culture or dispirited culture. The ban follows recent 'outrage' at several Chinese rap stars. Prominent rapper GAI was ejected from Hunan TV's Singer a hit competition show. Wang Hao, aka PG One, another well-known rapper, was forced to apologize earlier this month after one of his songs, Christmas Eve, was criticized for promoting drug culture and insulting women. Rapper Mao Yanqi, aka VaVa, was recently cut from the variety show Happy Camp. One of the most watched TV shows in the world has broken the most basic of PC rules by featuring a sketch that had Asian actors in blackface and black actors dressed as monkeys. The annual Chinese Lunar New Year gala by CCTV is a four-hour event and is watched by some 700 million people each year. 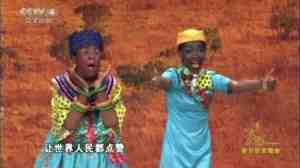 This year, one of the many comedy routines featured throughout the show was one intended to depict China's relationship with Africa. There were plenty of 'outraged' tweets published from those that know the rules. The European Broadcasting Union (EBU) has barred one of China's most popular TV channels from airing the Eurovision song contest after it censored LGBT elements of the competition. Mango TV was criticised for blurring rainbow flags and censoring tattoos during Tuesday's first semi-final. It also decided not to air performances by the Irish and Albanian entries. It is with regret that we will therefore immediately be terminating our partnership with the broadcaster and they will not be permitted to broadcast the second Semi-Final or the Grand Final. The Irish entry, Ryan O'Shaughnessy, told the BBC that he welcomed the EBU's decision. He will perform at the final in Lisbon on Saturday with a song about the end of a relationship. He was accompanied by two male dancers during the performance that was apparently censored by Mango TV. China wants to expand a ban on foreign TV shows during the evening prime-time hours, according to the latest proposal by the country's media censor. Since 2004, China has banned foreign TV movies and serials during the peak 7-10pm viewing hours. Now the National Radio and Television Administration is considering banning programming all foreign programmes during this peak period. The rules will apply to free-to-air and paid channels, as well as streaming sites. The censors speak of ideological reasoning but maybe its also to do with China's trade war with Donald Trump. As China's TV gets ever more censored, many people now use streaming sites like iQiyi and Mango TV for their kicks and they are increasingly willing to pay for it. While these sites offer hit western shows such as Game of Thrones, they have also adopted a similar strategy to Netflix by producing their own content. But as they gain popularity they may also gain more attention from the censors. TV programmes streamed on China's Netflix-like iQiyi site appear to be blurring the earlobes of male actors with earrings, according to web users in the country. Doctored images of male actors on a show called Sisters Flower Shop alongside earlier footage where they were sporting earrings have been posted online. In another show, I, Actor , the earlobes of the lead actor and singer also appear to have been edited. Over the past year people have criticised popular Asian culture for encouraging effeminate standards of beauty for men. A 2018 article published by the state news agency Xinhua said China's pop idols were spawning a generation of sissy boys. The whole world is moving forward, while China is moving backward.